Have I really contaminated my beer? 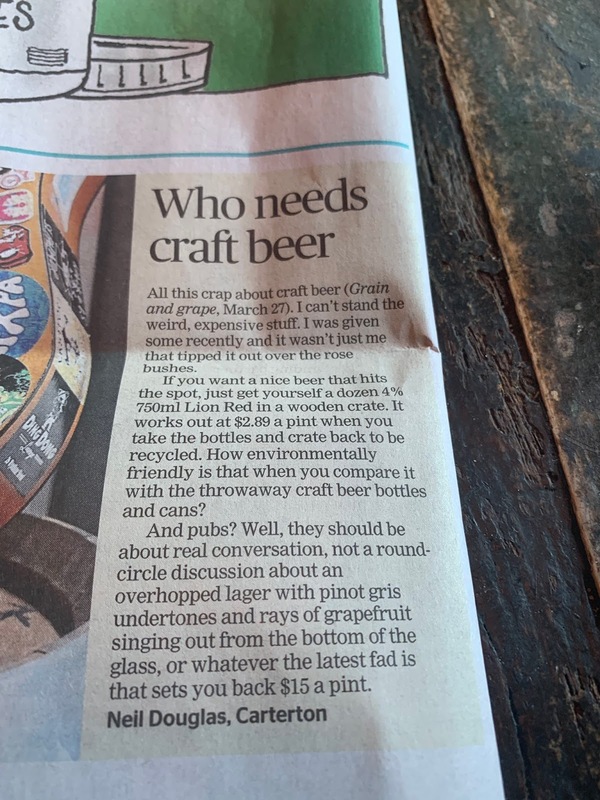 It only takes one bad batch of contaminated beer for beer enthusiasts to be converted to the mantra of 'sterilization is mandatory'. And that's the best approach you can have when brewing beer. Keeping your equipment and preparation space clean and sanitary will keep you on course for a fine tasting brew. You might accidentally drop something into your batch. Maybe your three-year-old son thought he was helping Dad out by throwing the air lock into it (yes, that actually happened). I found the missing spoon! Does this mean you've contaminated and ruined your batch? The short answer is no, yes and maybe. But the chances are that you haven't screwed things up. If you've done diligent preparation so that everything else is clean, then the chances are that dropping the odd utensil into your batch is not going to ruin it. On a couple of occasions, I have been pushing the airlock into the hole in the top of the fermenter lid. As I have done this, I managed to push the rubber bung through the hole and into the batch. I was left with no choice each time to grab a large metal spoon from the kitchen drawer to try and fish the bung out. I had no time to sterilize the spoon - I'd pitched the yeast already and wanted to lock that drum down tight. Did I ruin my beer by exposing it to a rubber bung and an unsanitized spoon? I possibly could have but in the end, my brews turned out absolutely fine. Here's my reason why this scenario worked out OK. If you make sure that you have already produced a hospitable environment for your yeast to take charge of your brew, it's like any introduction of foreign micro-organisms will not be calamitous. The yeast you use is beer yeast. It's been cultivated for many years to brew the best kind of beers and it knows how to do its job. 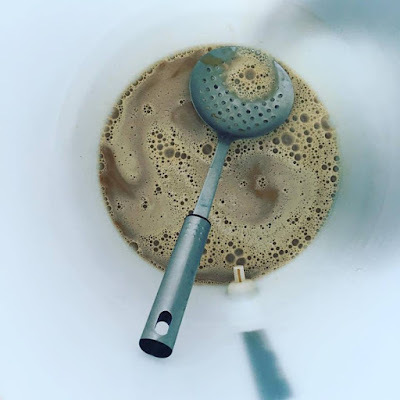 If it's just a minor contamination by way of a spoon or dropped airlock (chances are they were actually quite clean as opposed to say a Matchbox toy car) it's more than likely your yeast will win the tussle for beer fermenting supremacy. I think it's fair to say that a small mistake is not fatal to your beer. 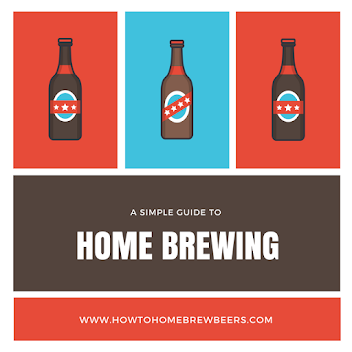 A large mistake such as not preparing your fermenter properly (cleaning and sanitizing) would probably have dire results. 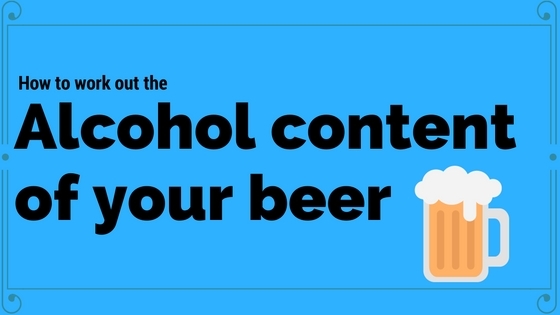 If your beer is actually contaminated (smells of rotten eggs, a taste test reveals a disgusting taste) then you may have to consider dumping your brew. Update: Believe it or not, shortly after writing this post, I managed to find this in my fermenter. The beer was fine. Image credit to ellai via Creative Commons Licence. We have no idea if Ellai prefers Star Warrs quotes, Star Trek or has even read the Mortal Engines book. Have you?